Seattle native Sr. Mary C. Boys has spent nearly 43 years of her life in the Northeast. In 1978, she completed a doctorate in religion and education in a joint program between Columbia University and Union Theological Seminary in New York City. Intending to return to the Pacific Northwest at the conclusion of her studies, she unexpectedly received an invitation to join the faculty of Boston College. Encouraged by the Washington Province leadership to accept the position, she also had companionship in living with members of other religious communities. During the 17 years she spent as a professor at the college, 10 SNJMs from various provinces came to Boston to pursue degrees or to work in the area. 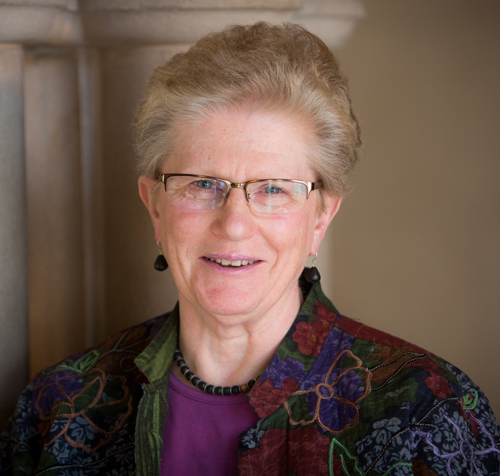 In 1994 Sr. Mary returned to New York to serve as the first Catholic woman to hold a chaired professorship on the Union faculty, and ultimately as the first Catholic to serve as Dean and Vice-President of Academic Affairs, her present position. “I’ve always loved teaching, from my earliest days at Holy Names Academy, Spokane (1969-1974) to the present. It gives me energy, stimulates new learning and feeds my soul,” she said. Sr. Mary’s teaching is not confined to the classroom but includes extensive speaking engagements and numerous publications, among them nine books as author or editor, and scores of articles. She credits in particular her English teachers at Holy Names Academy, Seattle (Class of 1965) for their rigorous expectations of their students. She also acknowledges the exacting grammatical standards of her mother, Ruth Wegner Boys (HNA, 1933), even if her mother had little interest in theology: “Why don’t you write something interesting,” she would say to her daughter. Sr. Mary’s graduate studies exposed her to the complex ways in which Christianity developed in relation to Judaism, and she has continued to pursue this relationship in her academic career. The rich and deep friendships with Jewish educators with whom she has collaborated in teaching and writing over the years have been even more formative, providing a powerful sense of Jewish life that enriches her Catholic commitments. As Sr. Mary completes her 24th year in the ecumenical setting of Union, a multi-denominational seminary founded in 1836, she expresses gratitude for colleagues and friends across a wide range of cultures and religious traditions. She gives thanks for being surrounded by a “great cloud of witnesses” (Hebrews 12:1) in the community, in her education and in her professional life, who serve as profound role models. Sr. Mary has complemented her academic, ecumenical and interreligious work with involvement in SNJM life, including several stints as a delegate to the General Chapter, membership on the Theological Resource Committee and co-director of retreats at Villa Maria del Mar in Santa Cruz.